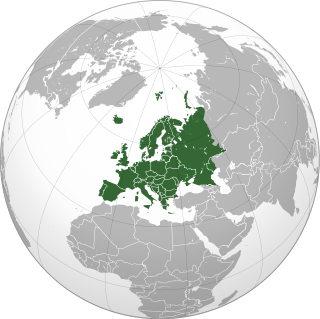 A viscount ( /ˈvaɪkaʊnt/ ( listen ) VY-kownt, for male  ) or viscountess ( /ˈvaɪkaʊntɪs/ , for female  ) is a title used in certain European countries for a noble of varying status. In many countries a viscount, and its historical equivalents, was a non-hereditary, administrative or judicial position, and did not develop into an hereditary title until much later. In the case of French viscounts, it is customary to leave the title untranslated as vicomte [vi.kɔ̃t] and vicomtesse. A castellan is the title used in Medieval Europe for an appointed official, a governor of a castle and its surrounding territory referred to as the castellany. 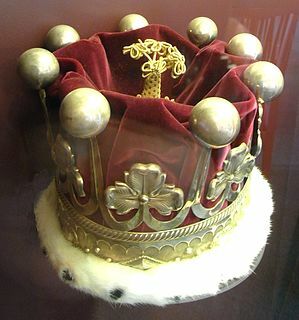 The title of governor is retained in the English Prison system, as a remnant of the medieval idea of the castellan as head of the local prison. The word stems from the Latin Castellanus, derived from castellum "castle". Sometimes also known as a constable of the castle district, the Constable of the Tower of London is, in fact, a form of castellan, with representative powers in the local or national assembly. A castellan was almost always male, but could occasionally be female, as when, in 1194, Beatrice inherited her father's castellany of Bourbourg upon the death of her brother, Roger. 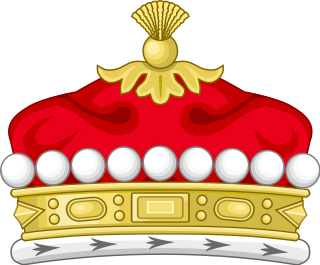 The title of viscount (Irish : bíocunta) was introduced to the Peerage of Ireland in 1478 with the creation of the title of Viscount Gormanston, the senior viscountcy of Britain and Ireland, held today by Jenico Preston, 17th Viscount Gormanston. 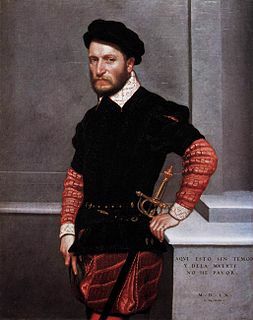 Other early Irish viscountcies were Viscount Baltinglass (1541), Viscount Clontarf (1541), Viscount Mountgarret (1550) and Viscount Decies (1569). The Kazoku was the hereditary peerage of the Empire of Japan, which existed between 1869 and 1947. Marquess of Rockingham, in the County of Northampton, was a title in the Peerage of Great Britain. It was created in 1746 for Thomas Watson-Wentworth, 1st Earl of Malton. The Watson family descended from Lewis Watson, Member of Parliament for Lincoln. He was created a Baronet, of Rockingham Castle in the County of Northampton, in the Baronetage of England in 1621. In 1645 he was further honoured when he was raised to the Peerage of England as Baron Rockingham. The third Baron served as Lord-Lieutenant of Kent. In 1714 he was created Baron Throwley, Viscount Sondes and Earl of Rockingham in the Peerage of Great Britain. His eldest son Edward Watson, Viscount Sondes, predeceased him and he was succeeded by his grandson, the second Earl. The second Earl was Lord-Lieutenant of Kent before his early death in 1745. He was childless and was succeeded by his younger brother, Thomas. He had previously represented Canterbury in Parliament. He died in 1746, whereupon the barony of Throwley, viscountcy and earldom became extinct. Duke, in the United Kingdom, is the highest-ranking hereditary title in all four peerages of the British Isles. A duke thus outranks all other holders of titles of nobility. ↑ Denyer, Ian; Bavister, Grant (2014) . "The Roll of the Peerage" (PDF). College of Arms . Retrieved 18 June 2014.